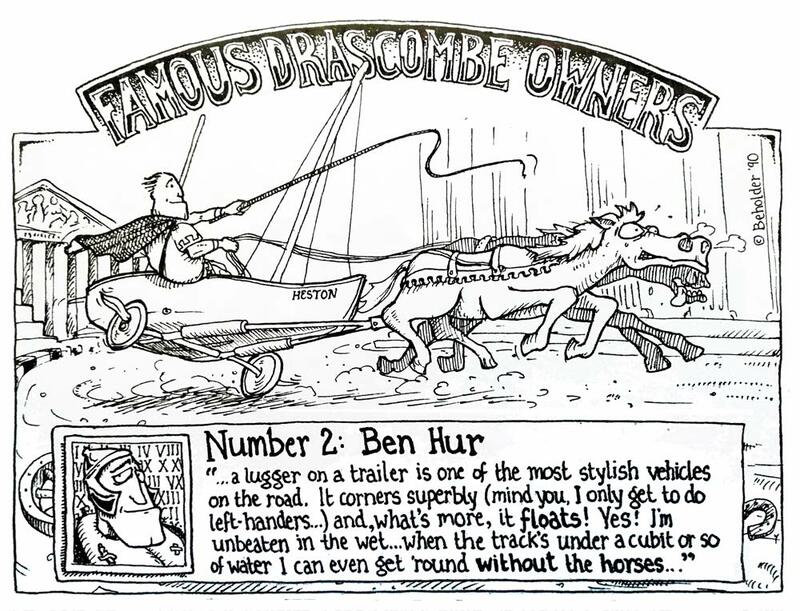 One of a few cartoons for the Drascombe Association newsletter, 1990. Drascombes are traditional-style sailing boats designed by ex-Royal Navy officer John Watkinson in the 1960-70s. The boats all share the same basic “line” and characteristic tan sails, although Drascombes can and do come in a variety of sizes, configurations and rigs. The Drascombe lugger, portrayed here, is a gunter rigged open boat with a small mizzen, suitable for hauling on a trailer (although normally behind a car).